The two most-experienced U.S. Presidential Debate moderators say the candidates, not the moderators, should be the primary fact-checkers on the debate stage. Speaking on a panel at the University of Notre Dame on Wednesday, Jim Lehrer and Bob Schieffer -- who have moderated 15 presidential debates between them -- stressed that moderators should take a back seat to the candidates. Their collective assessment appears to vindicate the view of Fox News Sunday host Chris Wallace, the moderator of the third and final debate, who has drawn criticism for saying it is not his job to fact check the candidates. "It is the responsibility of the moderator to make sure the truth gets out, but the chief fact-checker should be the candidates themselves," Schieffer said on Wednesday. "If Candidate A states something, it is the responsibility, and you should give the other candidate the opportunity, to correct him [or her]. If he [or she] doesn't, then you should step in. But it is the responsibility of the other candidate to say something." Lehrer echoed those sentiments by explaining how debate moderation was different from the one-on-one interview. As an example, he used a hypothetical situation involving NBC's Matt Lauer, who was widely criticized for failing to fact check Donald Trump when he falsely claimed to have opposed the Iraq War from the beginning. "If Matt Lauer had had both Donald Trump and Hillary Clinton sitting there together, in a debate situation, and asked the question on the Iraq War, and Trump gave his answer, all any moderator would have done is said, 'Senator Clinton?' And then she would have called him a liar," Lehrer said. "The moderator would never have to intrude." "You're not a judge," Schieffer added, "you're a moderator." Earlier this month, Wallace told Fox News it was not his job to fact check the candidates. "That's not my job. I do not believe that it's my job to be a truth squad," he said. "It's up to the other person to catch them on that." Many media watchdogs disagreed with Wallace's assessment, including Margaret Sullivan, the Washington Post media columnist. "I hope he'll change his mind about that," Sullivan wrote Tuesday. "If journalists aren't interested in being part of the truth squad, they should find another sport." In fact, Lehrer and Schieffer's view is much more in line with the official expectations of the bipartisan Commission on Presidential Debates that organizes these events. At Wednesday night's event, CPD Executive Director Janet Brown said that debate moderators must understand "their names are not on the ballot." 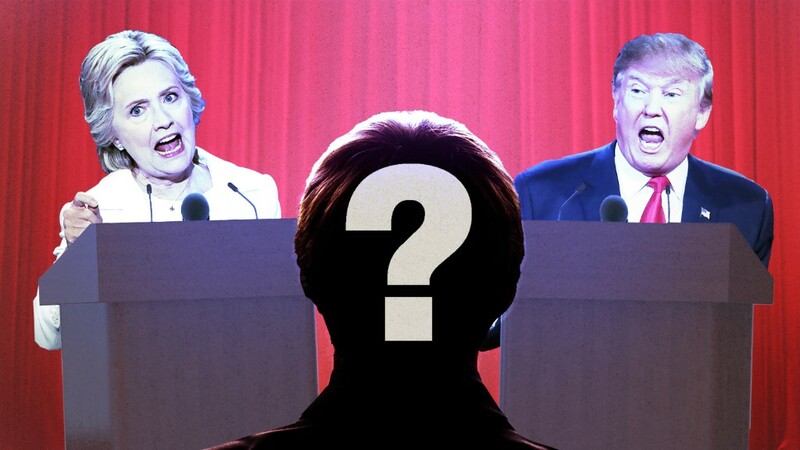 The moderators for this year's presidential debates are NBC's Lester Holt (Sept. 26), CNN's Anderson Cooper and ABC's Martha Raddatz (Oct. 9) and Fox News's Wallace (Oct. 19).